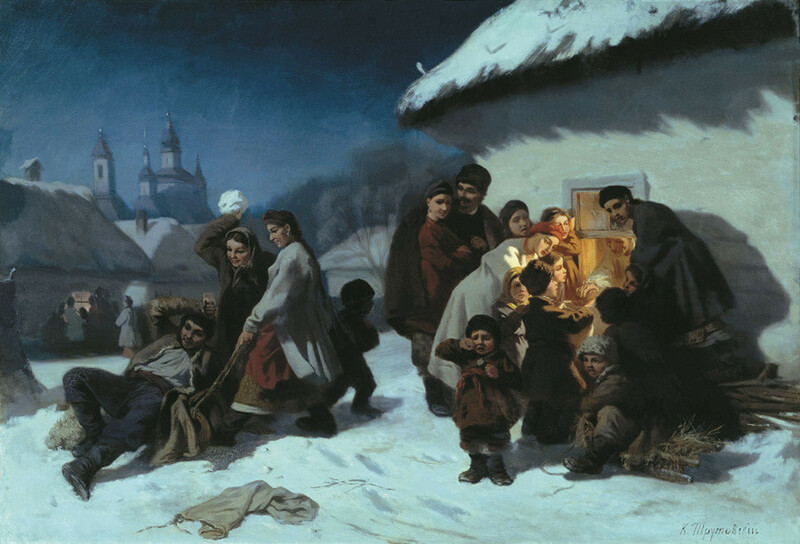 Making sense of Russia’s winter festivities: Why is the New Year more popular than Christmas? 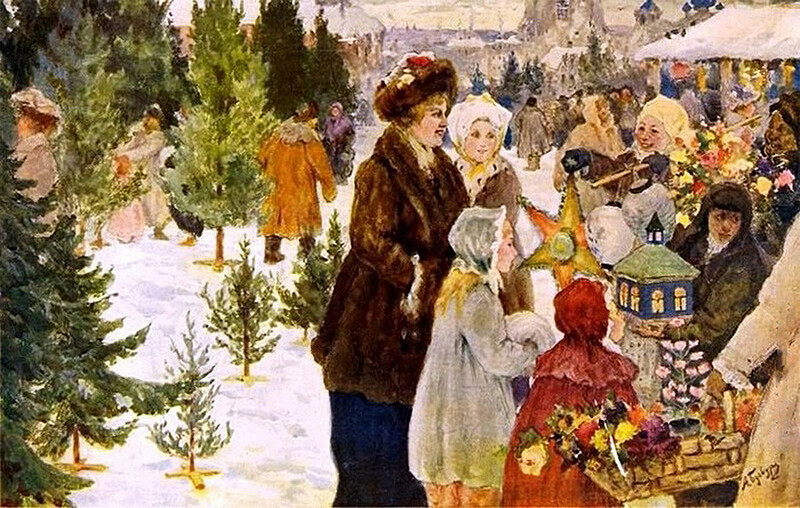 Just like the U.S. and Europe, before 1917 Christmas was Russia’s most important and widely celebrated winter holiday. As part of their anti-religious campaign, however, the Soviets completely crushed this tradition, making secular New Year celebrations the focal point of winter merriment. 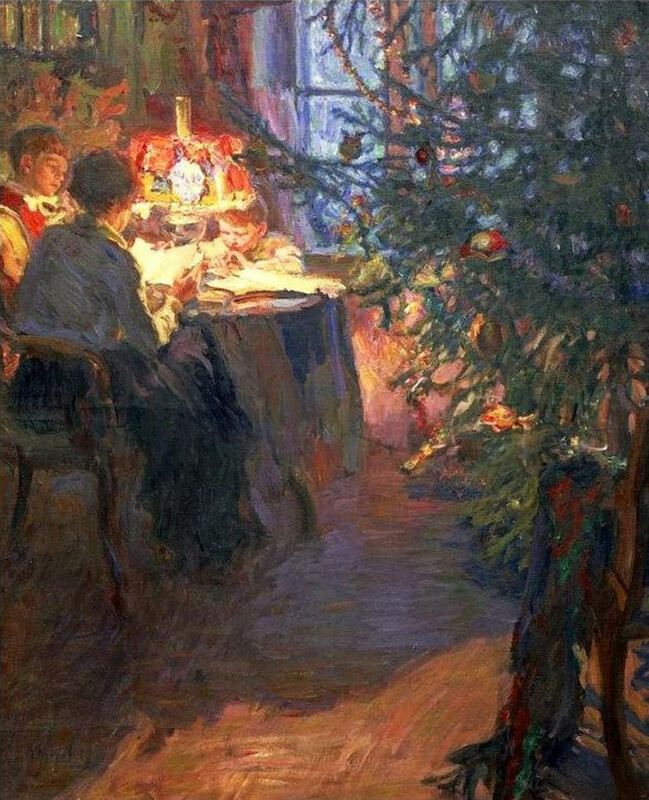 Today, Catholics (and Protestants) and Orthodox Christians celebrate Christmas on different days. While the former celebrate Christmas on Dec. 25 according to the Gregorian calendar, some of the latter (and Russian Orthodox Church included) celebrate it on Jan. 7 because this date of the Gregorian calendar equals Dec. 25 according to the Julian one. Even though the Gregorian calendar was adopted by the Soviet government in 1918, the Orthodox Church even today continues to follow the Julian tradition. Christmas trees were not common in Russia. In fact, the evergreen was considered a `tree of death,’ and no one would think of bringing it home. 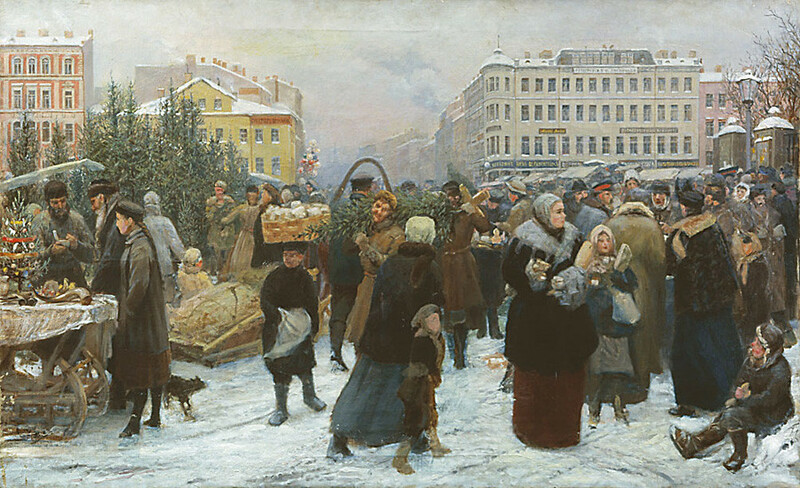 Heinrich Manizer "Christmas Tree Market"
As a Christmas decoration, the evergreen tree became common in Russian homes only in the late 19th century. The tradition began with German communities living in St. Petersburg, and then it rapidly spread across the Empire. 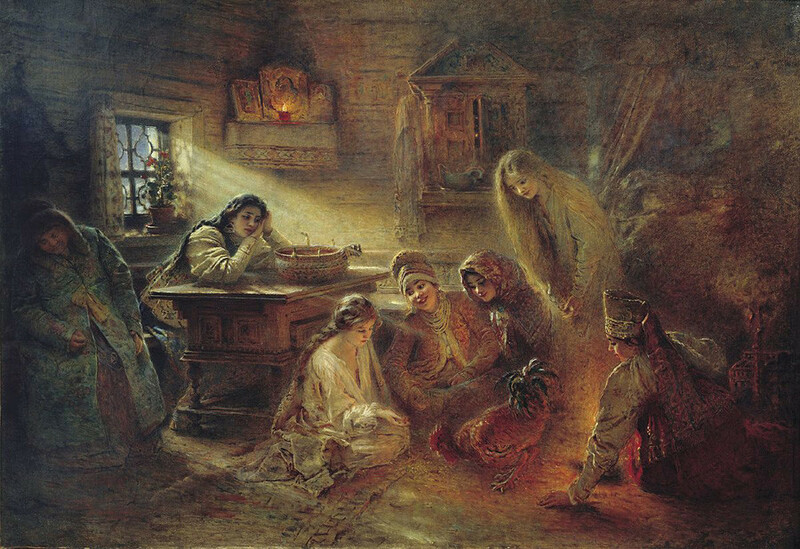 Koleduvane, an ancient ceremony that took place at midnight on Christmas Eve, was very popular among Russians, Belarusians and Ukrainians (as well as other Slavic nations). People dressed up, walked from house to house, as well as sang songs to wish each other luck, happiness and chase away demons. Americans and Europeans had similar ceremonies during the Epiphany celebration on Jan. 6. Christmas Eve was a time for fortune-telling, especially because people believed that dark forces were strong on that night. Young girls were eager to find out anything about their future husbands, even with help from demons. 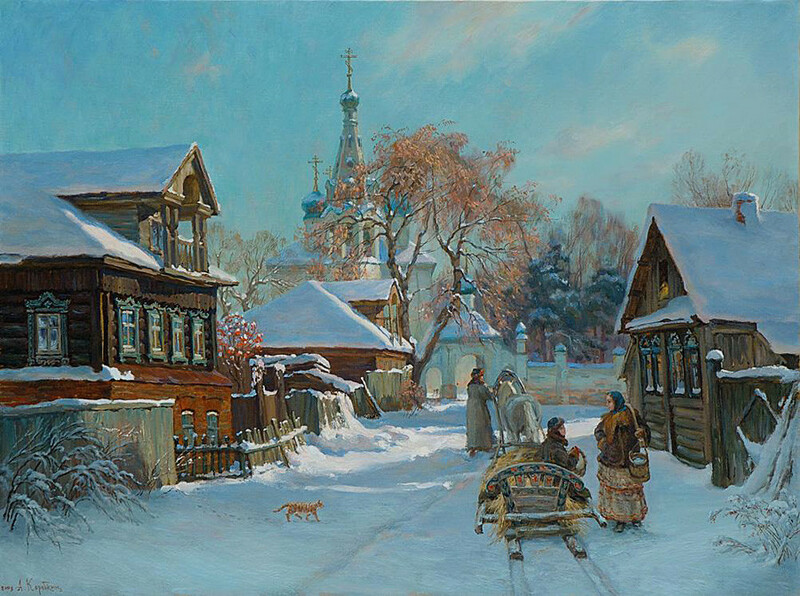 Christmas was undermined during the Soviet period, when the main winter festival focus shifted to New Year celebrations. In fact, Christmas was officially banned in 1929, and the day became a usual working day. 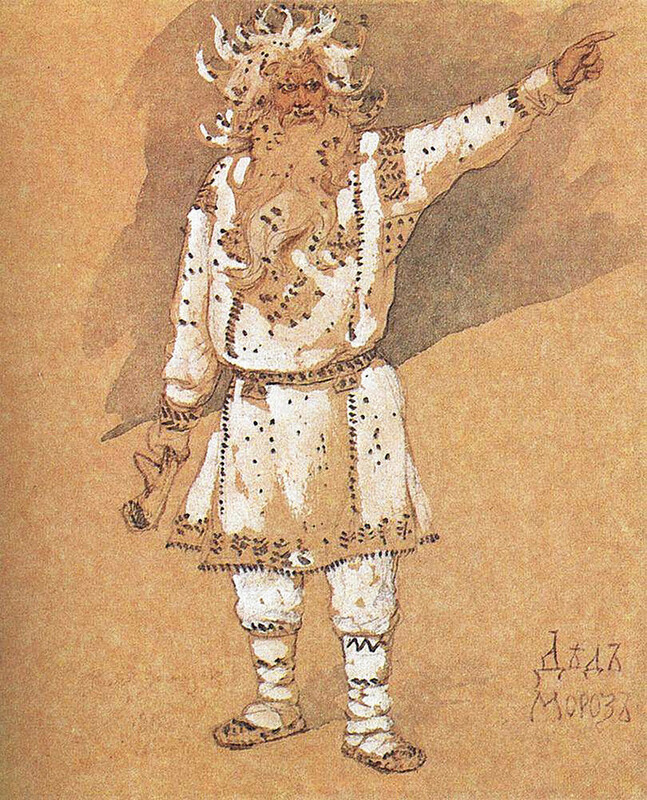 That’s why Russian Ded Moroz (Grandfather Frost) visits children with gifts not on Christmas Eve like his Western cousin, Santa Clause, but instead makes his merry visit at New Year. 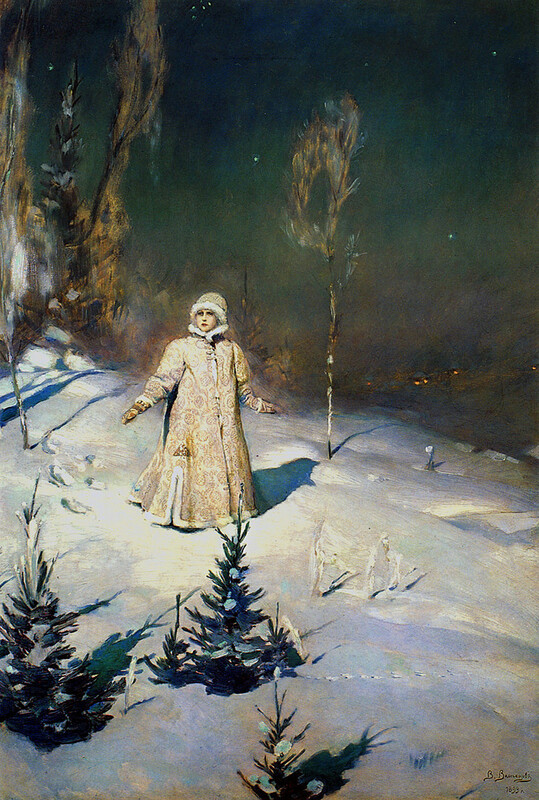 Instead of elves and gnomes, which are completely unknown in Russian mythology, Grandfather Frost is accompanied by his granddaughter and helper, Snegurochka (The Snow Maiden). 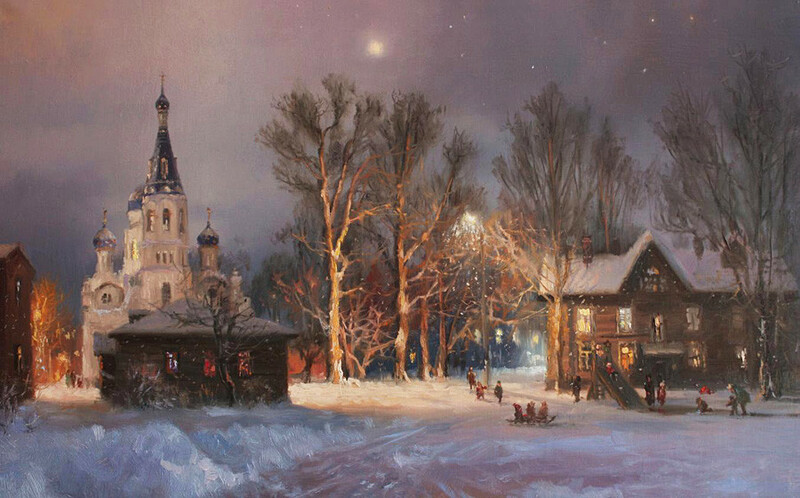 Today, most Russians follow the Soviet tradition and give the New Year celebration top priority. Find out how much money a Russian family is willing to spend on this holiday.